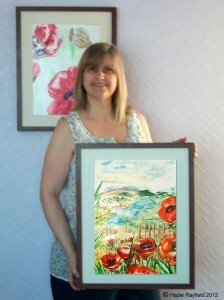 You only have to look in my online art gallery or shop to see poppies are one of my favourite subjects to paint. As floral displays or in a landscape I have a real passion for painting these wispy flowers. The poppy family comes in many different shapes and colours, from purples to red and of course the wonderful yellows and oranges as seen the California poppies. Weather its a field of bright red poppies swaying in the breeze to the dried seed heads these are beautiful plants and make very popular painting art subjects. 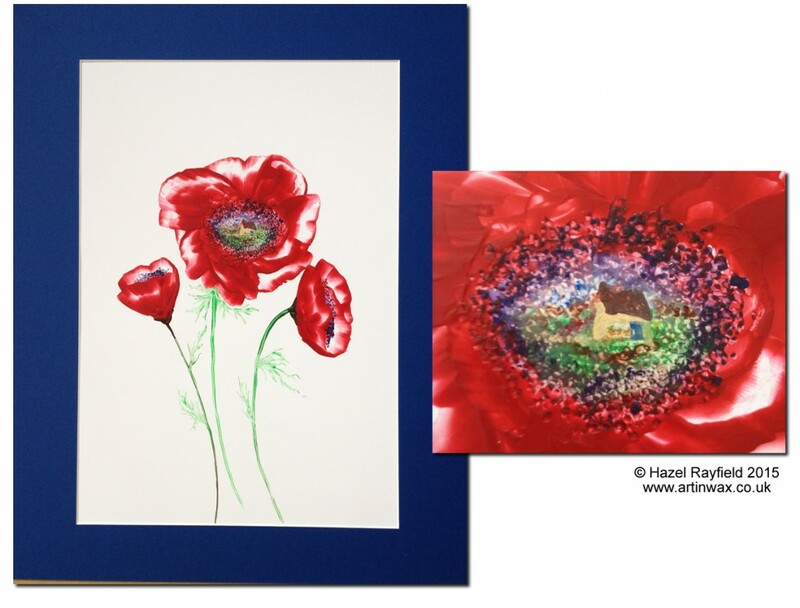 As I have said many times on the art in wax website and here on my blog, I love to paint flowers and they feature in most of my paintings, I am naturally drawn to certain flowers, Daisies, Lavender and Roses often feature but poppies seem to just appear! they somehow naturally flow into my work and I love them ……. In the photograph shown here the painting on the wall of some large red poppies and seed heads is the newest painting I have created, the picture I am holding was done earlier this year and has just been re framed ready for display.